Taco seasoning—made with dried ground chilies, paprika, cumin, coriander, garlic, and other spices—turns ground beef into the kind of taco filling dreams are made of. Add diced tomatoes, fire-roasted green chilies, and sharp cheddar cheese and you’ve got yourself a seriously crave-worthy taco. This easy crock pot low-carb slow cooker soup recipe gives you all those taco flavors you love without all the pesky carbs. Thickened with cream cheese, it is rich, creamy, and super satisfying. This soup is quick and easy to make, too--just a quick sauté to brown the meat and then a few hours of unattended cooking time in a slow cooker. This recipe only calls for 7 ingredients, but you can make it even better by topping it with your favorite low-carb taco toppers like additional shredded cheese, sliced green onions, sliced black olives, chopped cilantro, pickled jalapeno peppers, hot sauce, diced avocado, shredded lettuce, and/or sour cream. Heat a large skillet over medium-high heat. 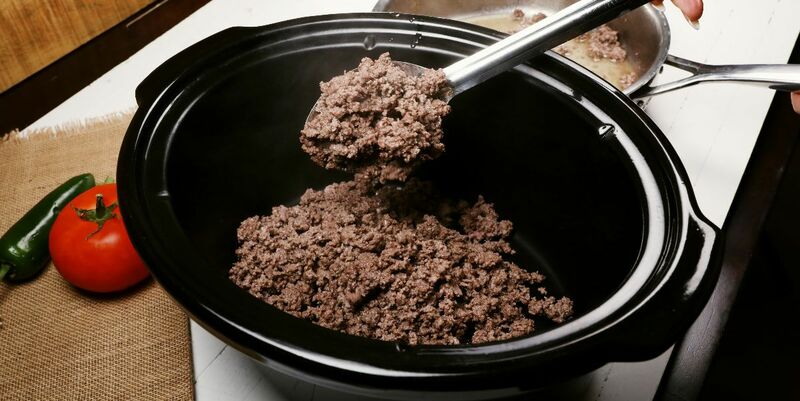 Add the ground beef and cook, stirring and breaking the meat up with a spatula, until browned, about 5 minutes. Using a slotted spoon, transfer the meat to the slow cooker, leaving the excess grease behind. 2. 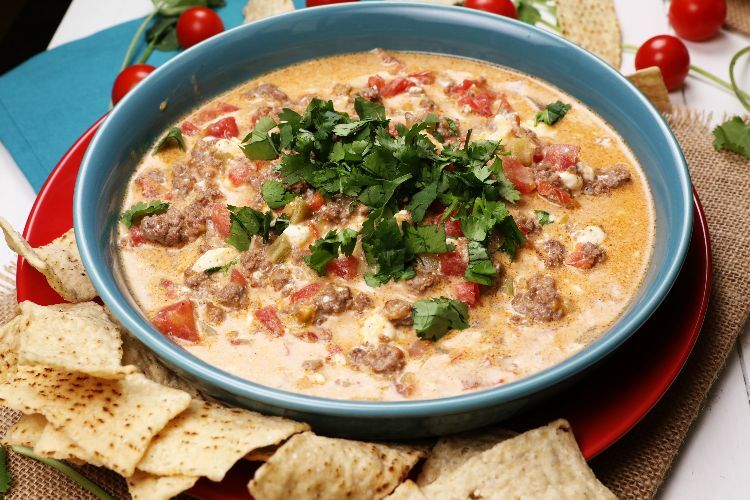 Add the cream cheese, diced tomatoes with chilies, along with their juice, green chilies, and taco seasoning and stir to mix. Stir in the broth. Cover the slow cooker and cook for 2 hours on high or 4 hours on low. Stir in the cheddar cheese and let cook for 5 to 10 minutes more, until the cheese is melted and incorporated. Serve hot, garnished as desired. The health benefits of a low-carb breakfast go beyond just the waistline. This delicious curry features naturally sweet coconut milk and sweet potatoes for a rich, warming dish that's low in carbs. Cabbage soup might not look beautiful or seem fancy, but trust us: This recipe is totally flavorful. It has everything you want in a comforting soup but it's a low-carb, Keto-friendly recipe.